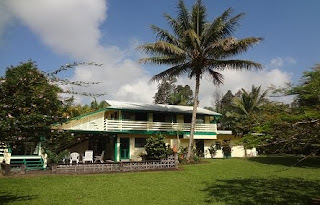 Stay at Hale Moana Bed & Breakfast and visit the Hawaii Volcanoes National Park - only 30 minutes away. Hawaii National Park, HI – Three free and adventurous programs offered by Hawai‘i Volcanoes National Park will introduce a captivating landscape, biodiversity and history of the park’s southernmost section to hikers. Palm Trail. The new Palm Trail is a relatively easy 2.6 mile loop traversing through scenic pasture along an ancient cinder cone with some of the best panoramic views Kahuku has to offer. Along the way are relics of the ranching era, sections of remnant native forest and amazing volcanic features from the 1868 eruptive fissures. A guided hike of Palm Trail is offered Sept. 15 and 29 from 9:30 a.m. to 12:30 p.m. Drive through the Kahuku gate, which is located on the mauka side of Highway 11 near mile marker 70.5. Park and meet at the visitor contact tent, near the ranch buildings. Boots, raingear, long pants plus water and a snack are recommended. No advance registration is required. 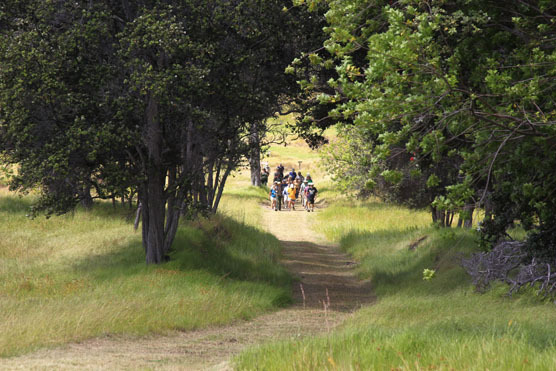 The guided hike is offered Aug. 26, Sept. 9, Sept. 22, Oct. 14 and Nov. 10 from 9:30 a.m. to 12:30 p.m. Drive through the Kahuku gate, which is located on the mauka side of Highway 11 near mile marker 70.5. Park and meet at the visitor contact tent, near the ranch buildings. Boots, raingear, long pants plus water and a snack are recommended. No advance registration is required. Kīpuka ‘Akihi is a challenging 1.5 mile, five-hour adventure to see some of the rare plants and wildlife that inhabit this treasured kīpuka. Participants must be prepared to scramble over fallen trees, lava rock, and slippery, wet terrain. Wear sturdy hiking shoes, long pants, sunscreen and a hat. Bring raingear, garden gloves, a day pack, insect repellent, lunch and water. 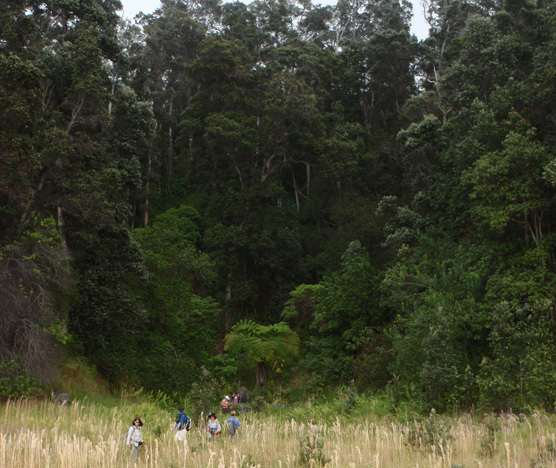 This forest stewardship program provides opportunities to help protect this rainforest by pulling up invasive kāhili ginger and other invasive non-native plants throughout the kīpuka. No advance registration is required. 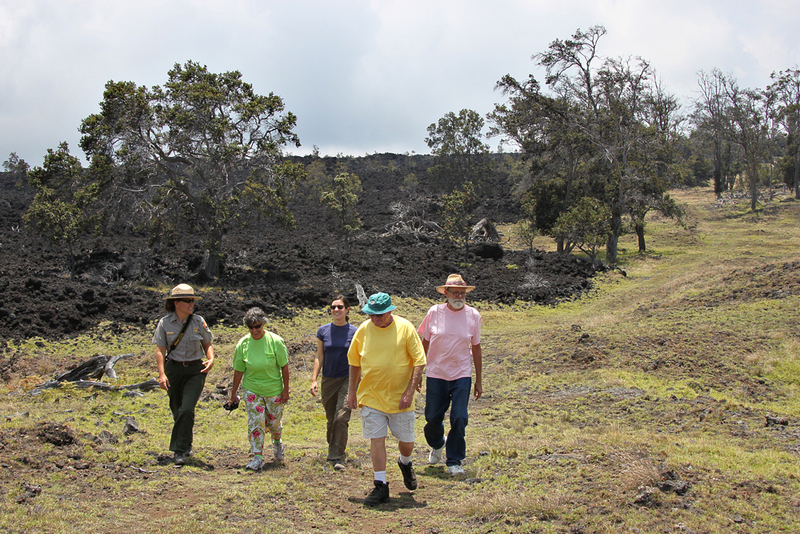 Hawaii National Park, Hawai‘i – A new 4.5 mile hiking trail is open for visitors to Kahuku in Hawai‘i Volcanoes National Park. 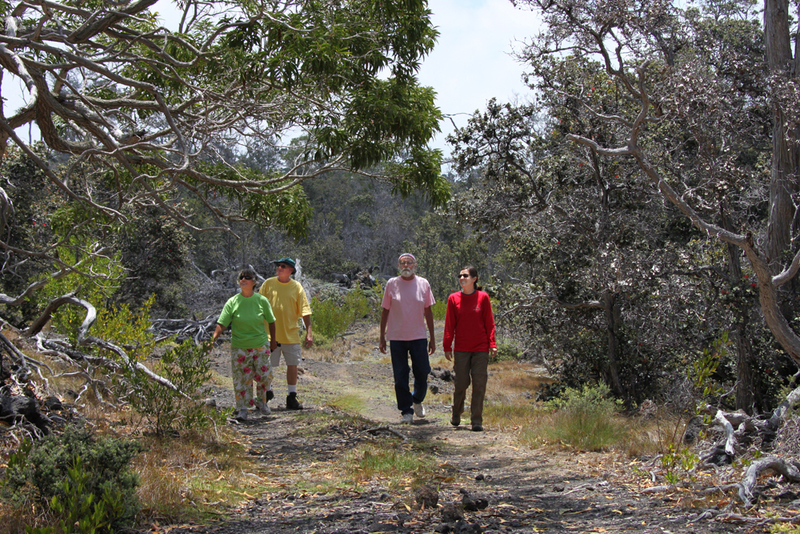 The Kona Trail is one of the most diverse trails in the Kahuku area. 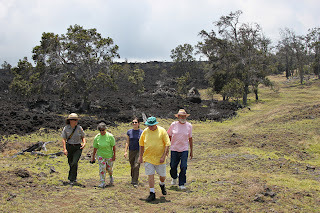 Located between 3,880 and 4,440 feet above sea level, the Kona Trail offers sweeping views of Ka Lae, the Ka‘ū coast, and it encounters a rugged lava landscape from the 1887 Mauna Loa flow. The moderate loop trail meanders through old pastures and native forests, and alongside native plant restoration areas. 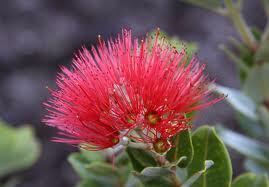 Kahuku is located on Highway 11, near mile marker 70.5 on the mauka side of the road. The Kona Trail is about 5.5 miles from the Kahuku entrance up a steep, rough and rocky road. Four-wheel drive is strongly recommended. Parking for the Kona Trail is at the Lower and Upper Glover Trailheads. Kahuku and the new Kona Trail are open Saturdays (except the first Saturday of each month) and Sundays, from 9 a.m. to 3 p.m.